Geneva, 23 August, 2016: The upcoming seventeenth meeting of the Conference of the Parties to CITES (Johannesburg, South Africa, 24 September - 5 October 2016) will be considering 62 proposals to increase or decrease controls on international trade in wildlife and wildlife products, submitted by 64 Parties from around the world. In total close to 500 species may be affected by these proposed changes. Amongst the species involved are African elephant, white rhinoceros, lion, pangolins, silky and thresher sharks, devil rays, as well as many species of rosewood, crocodiles, birds, frogs, lizards, turtles, and other animals and plants. 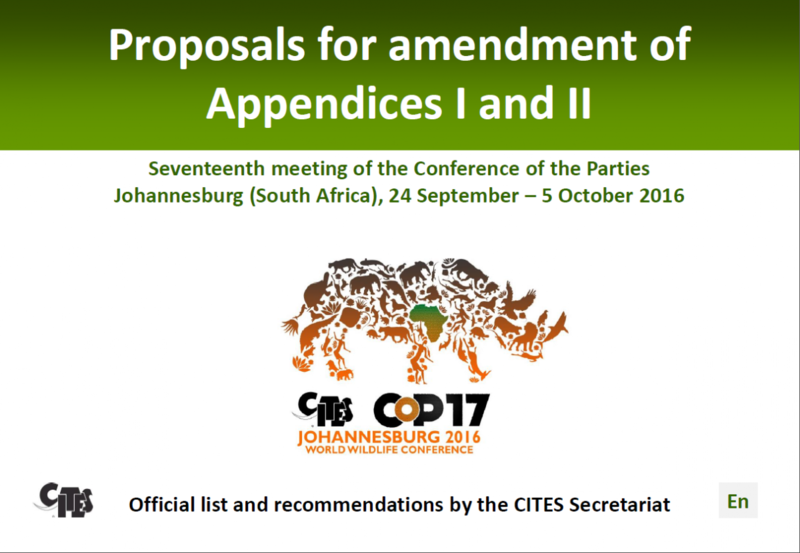 As required by the text of the Convention, the CITES Secretariat has just released its own recommendations to the 182 Parties to CITES concerning these proposals. Its recommendations are based upon the agreed criteria for amendments to the Appendices as set out in CITES Resolutions, and in particular Resolution 9.24 (Rev. CoP16). As instructed by the Parties, the Secretariat consulted bodies concerned with the conservation and sustainable use of marine species and timber species about these proposals. Thirteen inter-governmental bodies responded, including the Food and Agriculture Organization of the United Nations (FAO), which convened an Expert Advisory Panel over five days to examine the proposals related to commercially-exploited aquatic species against relevant criteria. The full text of the FAO Panel’s report and the responses from other inter-governmental bodies have also been released on the CITES website. Governments will draw upon these evaluations and recommendations to make their own decisions about which proposals should be adopted and which rejected. The CITES Secretariat has now also provided its comments on the 45 documents submitted by Parties to CoP17. These documents do not include those generated through the post CoP16 intersessional process of which there are well over one hundred. 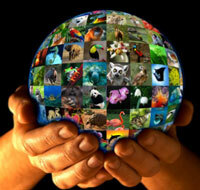 The Secretariat’s comments have been incorporated within the relevant document posted on the CITES website. “CITES Parties now have comprehensive appraisals and recommendations on these amendment proposals at their disposal” said CITES Secretary-General John E. Scanlon. “The debates at CITES CoP17 – the World Wildlife Conference, are certain to be rich and varied. They will be supported by the best scientific advice that is available, noting that the CITES CoP is a sovereign body that will take its own decisions, including, if necessary, through a vote” he added.